The electronic packrat is here. It had to happen eventually. It’s so tempting to keep everything that you have ever written, received or downloaded because they consume no visible space, can be stored instantly and are hidden from the prying eyes of others. Computers are becoming so cluttered that locating a specific file is like trying to find a postage stamp among a truckload of trivia. Just because you have an apparently unlimited amount of storage space doesn’t mean you should keep everything. Filing too much has its consequences, the greatest of which is lost time. The more you file, the longer it takes to retrieve something. Time is wasted opening the wrong folders and documents, misfiling, naming and renaming and scrolling through hundreds of titles. 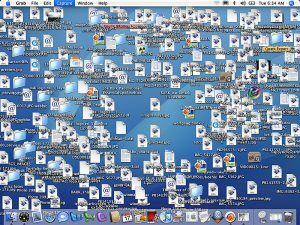 Opening folders within folders on your computer reminds you of a bottomless pit. 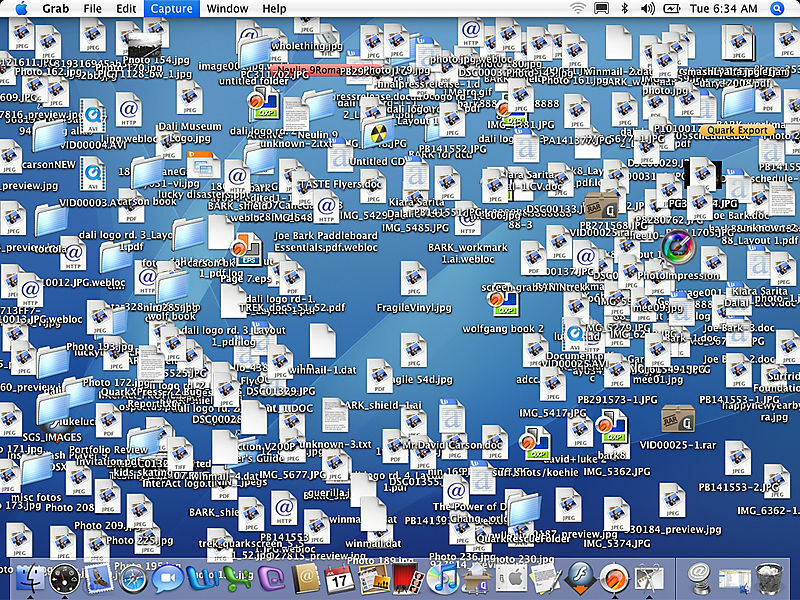 It takes over 5 seconds just to read the titles of all the folders that you have created on your desktop. You spend 5 minutes or more each day searching for documents that you recently created. When filing, your word processing program keeps telling you that there’s already a document by the same name. The list of documents in one folder fills the entire depth of the window. The dates that many documents were created coincide with the year you bought the computer. You can’t remember having written many of the documents that you open. You sometimes open folders to find they are empty or open documents that are blank. You have identical documents with different headings. There are documents that you haven’t opened since you first filed them. Don’t keep a copy of every e-mail you send or receive. Purge your electronic filing cabinets on a regular basis. Check the dates and delete routine correspondence that is over a year old if you haven’t needed to refer to it in the meantime. A better idea might be to use the self-destruct method. That’s where you add a delete date to the heading at the time you file it. The best time to make a decision as to how long you will keep something is at the time you create it or receive it. Every 6 months or so you could delete everything whose delete date has expired without even opening it. If you decide to keep something forever, leave off the date. A packrat is someone who keeps things that are no longer used. If you have never had to access a file in over a year, you are probably safe in deleting it. If in doubt, throw it out. Or more accurately, to keep it neat, delete. Don’t let your computer be a dumping ground for useless, redundant or outdated information. Time Investments are those activities that eventually free up more time than they consume. For example, many people fail to plan because planning takes time. As a result, they lose more time battling crises than the planning would have taken. Planning is a time investment. Similarly delegation, communication, exercise, technology, goal setting, forming habits, self-development, procedures and networking are all examples of time investments. If you had time to work on them they would free up more time in turn. Unfortunately, like money investments, the payoff usually takes time. And time is at a premium. Although delegation will free up huge chunks of time in the future, the time spent training others takes place in the present. Since most people already have a full day, where do they get the hour or more needed each week in order to do the training? The same question could be asked of any of the time investments mentioned. That new digital handheld device may save time, but we need time to learn how to use it properly. Similarly we know that regular exercise will keep us more energetic, healthier, more mentally alert and more productive, but where do we get the half-hour or more each day to make it happen? It takes time to set goals, form time saving habits, develop procedures and communicate properly. Where does that time come from? That’s where many of the time management tips can come into play. Not the ones I call behavioral ideas, which require that habits be formed before they will work, but those mechanical ideas that will free up time immediately. For example, arranging action files vertically in step file holders within easy reach instead of piling them horizontally on your desk eliminates a lot of searching and shuffling. Upgrading your digital devices and equipment, backing up your files in the cloud, using voice-activated software and text-replacement software, all save time – which in turn can be used on time investment activities such as training. An idea may only save you one minute a day; but multiply that minute by sixty similar ideas and you have an hour. Imagine being able to free up five hours each week! That represents time for training or sleeping or exercise – or any other time investment. You only need time for one time investment to start, since that one will generate the time for others. If you start with delegation, for instance, you will soon free up the time that the delegated task has been taking. Then you would spend some of that time on planning, which would free up more time to invest in exercise and so on. You are re-investing the profits, so to speak, and continually increasing the amount of time at your disposal. This process takes time, so don’t be impatient. You will gradually become more organized, more productive and more relaxed. Then when you start investing time in behavioral ideas, such as making notes while on the telephone, checking email less frequently scheduling tasks in your planner, saying no more often and reducing procrastination, your productivity will soar. It takes time to manage time. And time, like money, cannot be manufactured. It must be earned. But by investing wisely in the present, you will reap timely rewards in the future. 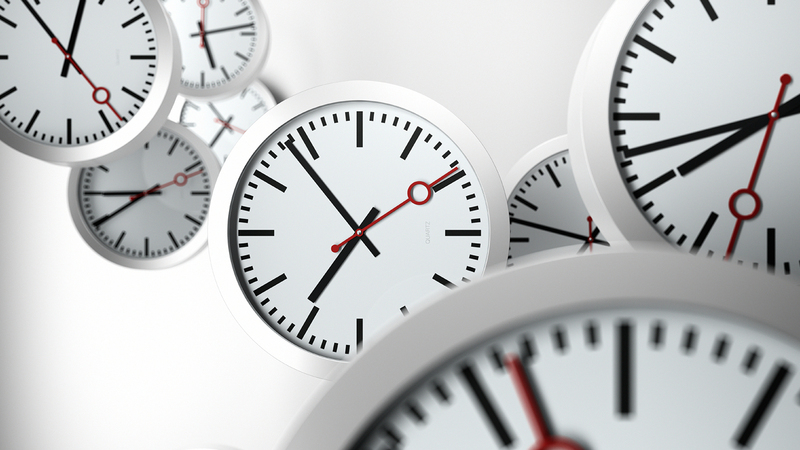 Time management writers frequently remark that time is money. By doing so they hope to convey the importance of time. But of course, there is no comparison. Time is so much more valuable than money. It is life itself. And yet, some people treat time as though it were money. It slips through their fingers as they squander it relentlessly. Just as we sometimes engage in impulse buying, we similarly engage in impulse spending of time. And just as we sometimes discover that our money has been depleted with little to show for it, one day we discover that our life has been depleted with little to show for it. But there is a big difference; we can always earn more money, but we will never be able to earn more time. When time’s gone, we’re gone. In industry, there are fixed costs and variable costs. Variable costs vary with sales, such as the product’s direct costs, shipping costs and royalties. Fixed costs must be paid regardless of the volume of sales, such as rent, utilities and licensing fees. In your personal life, there are fixed costs as well, such as mortgage payments, taxes, and food and clothing, regardless of the volume of work that you do or the number of hours you work. You have variable costs as well, such as gas for your car, entertainment and travel. One way of saving involves treating an otherwise variable cost as though it were fixed. 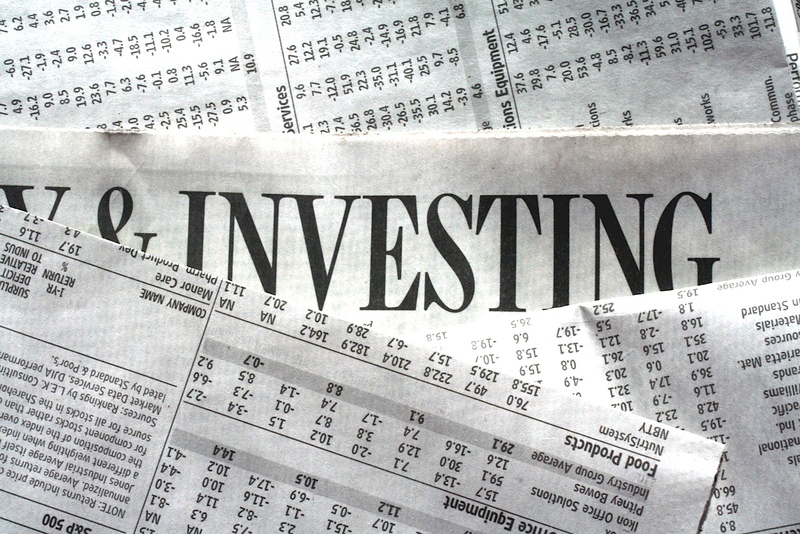 Thus a lump sum would be diverted into a savings or RRSP or RIA automatically each month. Most people who do this find that once they have adjusted their variable spending to accommodate this new “fixed” cost, they seldom notice any perceptible drop in their standard of living. Similarly we should consider treating a variable time amount such as family time, vacation time, and quiet time, as a “fixed” cost of living. Schedule that time in your planner first, as though it were as much a necessity as sleep time and work time. Then use what is left for everything else. 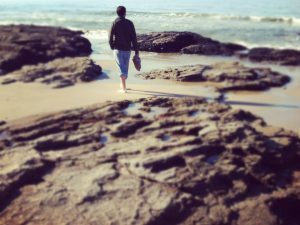 You may find activities such as vacations, exercise or reading can be realized without sacrificing any essentials of life. It may cut into TV watching, idle time, or window shopping; but those activities are probably not priorities. When we find that meaningful activities are being crowded out of our lives, it’s not a case of too little time, it’s a case of irresponsible spending. There is plenty of time in life for the things that really count. But we must budget time for these things and let them be realized at the expense of the trivial. Just as there are forms for budgeting money, there is a time management form designed for budgeting time. It is called a time planner, diary, agenda, calendar or a host of other synonyms. Choose it carefully. Many planners limit scheduling or budgeting of time to a nine-to-five day, yet the most meaningful activities could take place beyond the normal workday. Others sacrifice much-needed space in order to make it fit into a pocket or purse. Some treat Saturday and Sunday as afterthoughts, and allocate a small amount of space to those days. Day-at-a-glance planners prevent you from seeing the whole week in perspective, while month-at-a-glance planners do not have enough space to facilitate hour-by-hour budgeting. There are digital planners as well, and some people are able to use them effectively. As a time management consultant, I have been able to design my own planner, geared to my own needs. If you also have the opportunity to design a planner that will reflect your philosophy and style, do so. The best planner is one you design for yourself. Otherwise, shop around. Don’t settle for a planner that has been given to you free of charge each year. It could be costly. Time is life, and life is the most precious resource we have. Budget it wisely. Time management: where do we start? The first step in managing time is to get organized. The three major resources that are essential to a successful business are time, money and people. If you lose money, you can always earn or borrow more. If you lose people, you can re-hire. But if you lose time, you can never regain it – either by working or by borrowing. It is lost forever. And the sad part is, there is not an inexhaustible supply. You can dip into the time bank only so many times – then, when it’s all gone, you’re gone. It stands to reason that since time is in great demand and is in such a limited supply, that it is the most valuable resource. Therefore, if you want to be successful in business, you must learn to manage the time at your disposal. Unfortunately, some people can’t even manage their money, let alone their time. And even those who do manage their money well do a relatively poor job of managing their time. The expression “look after the pennies and the dollars will look after themselves” is equally true for this precious commodity called time. We cannot afford to be spendthrifts when it comes to time. Spending time on impulse items such as reading your spam email, scrolling through Facebook postings, surfing the Internet with no purpose in mind or fidgeting with the latest needless digital gadget when there are meaningful tasks to be performed are only some of the ways we squander valuable minutes, which soon amount to hours. We also waste time by constantly shuffling papers, searching for misplaced items, interrupting ourselves and others needlessly, procrastinating on jobs that must be done eventually, worrying about things we can’t control, and saying “yes” to time-consuming activities that do not relate to our goals. Add to this perfectionism, idle time, and a myriad of bad habits, and we have the potential to waste hours each day. Hours that could be spent on profit-generating activities, family time, or self-renewal. The first step in gaining control of your time is to get organized. Organize your office, your files and your procedures to eliminate those wasted minutes searching for things, shuffling papers and interrupting others. Then look for shortcuts when performing those necessary but routine activities such as corresponding, conducting meetings, and fielding phone calls. The resulting time savings can then be invested in those profit-generating activities and personal priorities that you just never seem to get around to. Time management is not a one-time thing. It is a continuous process of changing time-wasting habits, streamlining the necessary activities, and always focusing on those key activities that generate the greatest return. Time management has been described as “common sense put into practice” or “self-management” Or “making wise choices.” It seems easy. But it isn’t easy for one reason; we are forced to change our way, leave our comfort zone, and abandon those habits that we have developed over the years. Change does not come easily. It takes motivation, determination, and perseverance, which are brain-based skills that must be strengthened through continued use. But the rewards – a more productive and satisfying life – are worth the effort. A word of caution: don’t try to change too many things at once. Remember, time management is a life-long process. Make changes gradually. Become comfortable with making notes during phone calls, for example, before revamping the way you conduct your meetings, and so on. Where do you get your ideas for better ways of doing things? There are over 1000 books on the topic of time management. Articles appear almost every month in one of the thousands of magazines being published. Seminars are in plentiful supply. There is even this blog and hundreds of others. There is no shortage of ideas on saving time. But what you must do is select those ideas you feel will work for you. Adapt them, if necessary, to suit your particular job or situation, and then put them into practice. You have probably heard the expression that an organized mind is more important than an organized desk. But let me assure you, that working at an organized desk actually helps you to develop an organized mind.